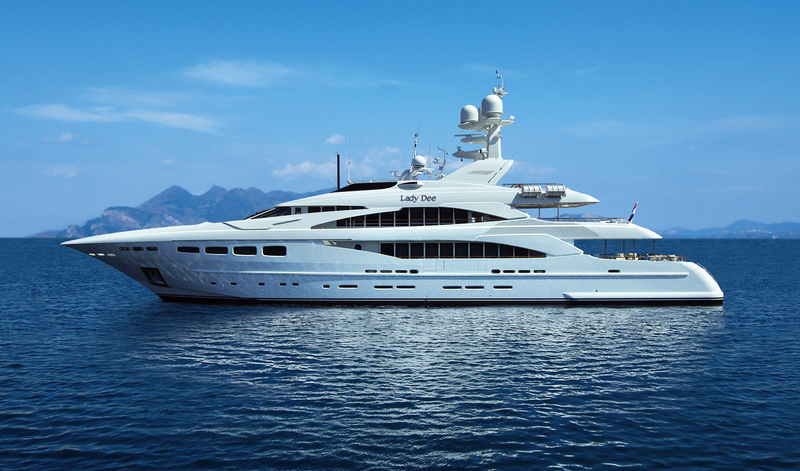 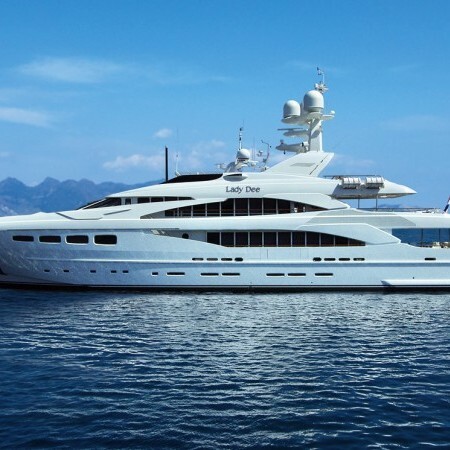 Built in Holland and completed during 2012 the 47.00 meters Motor Yacht LADY DEE is now available for charter. 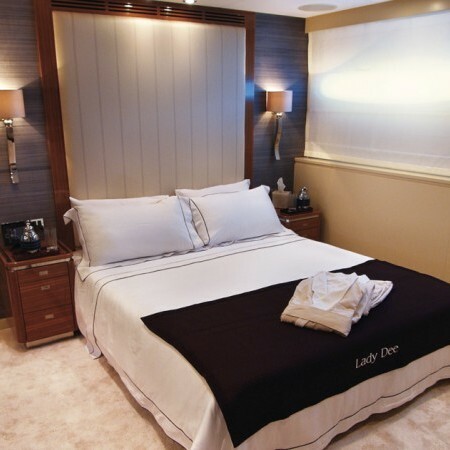 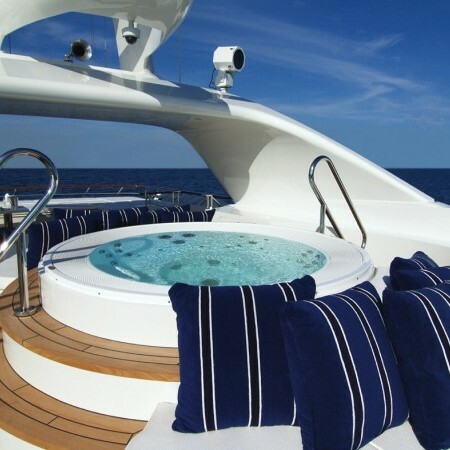 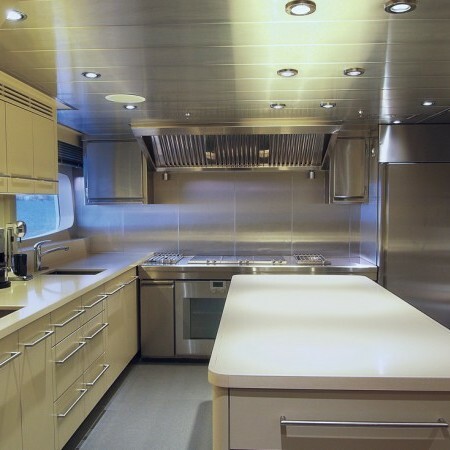 Motor Yacht LADY DEE combines luxury, elegance and comfort offering guests the opportunity to relax and unwind while enjoying the amenities of the yacht. 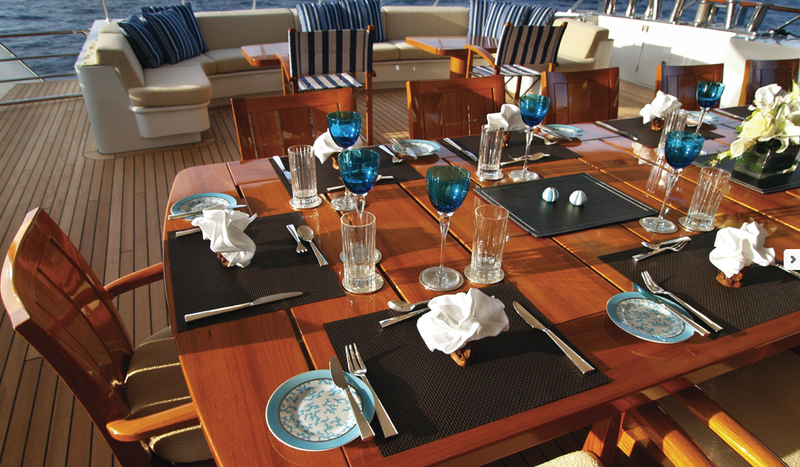 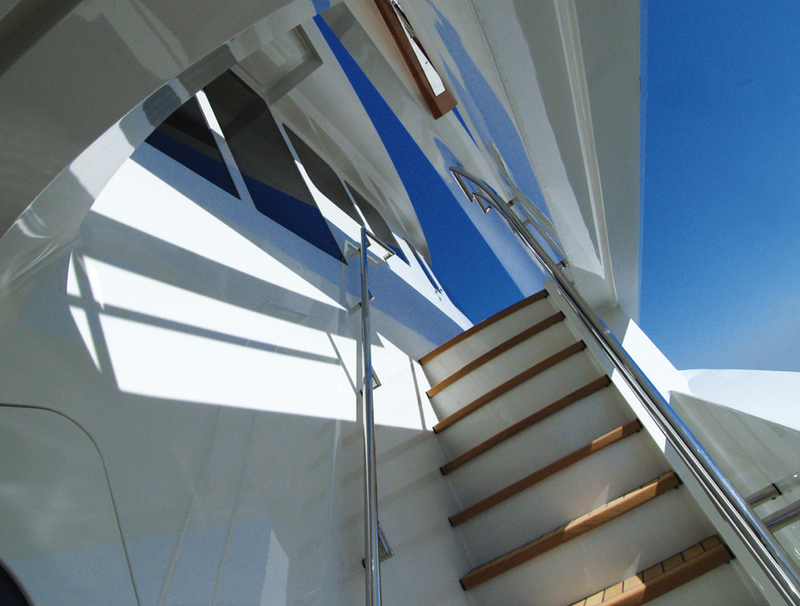 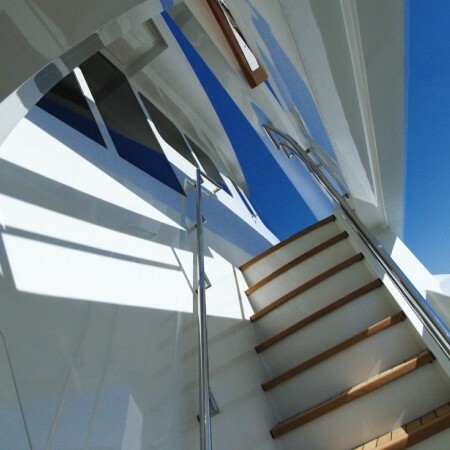 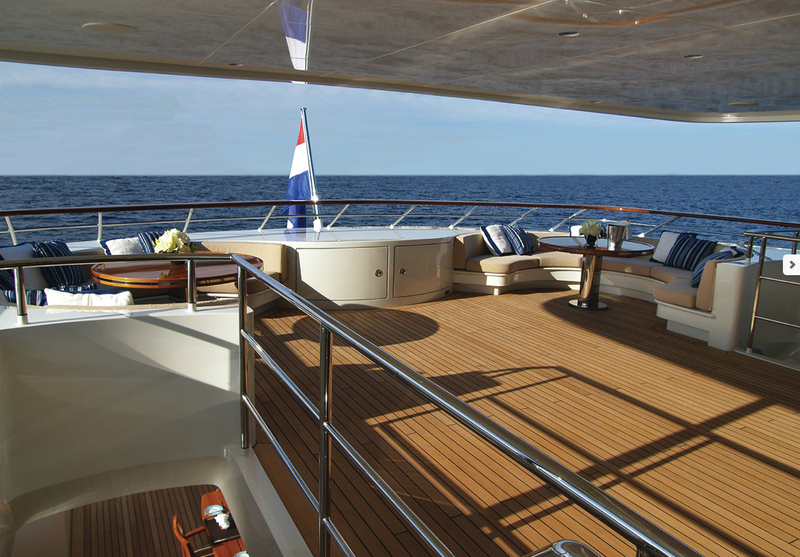 LADY DEE is available for charter throughout the Western and Eastern Mediterranean as well as the Adriatic Sea. 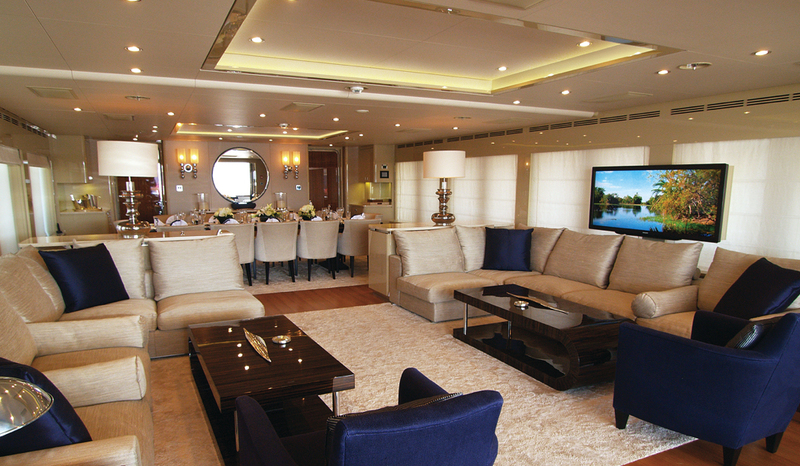 The main salon decorated with a purse sense of style offers comfortable seating and excellent views. 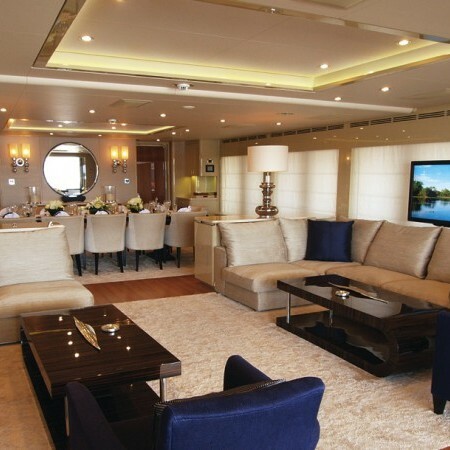 As well as boasting a 65″ TV it also has an excellent kaleidoscope system offering a wide variety of movies.The large dining room adjacent to the salon offers seating for twelve in full comfort and shares the excellent views within the salon. 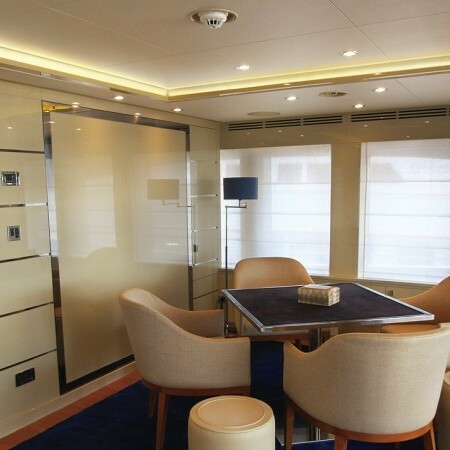 The master stateroom is located forward on the main deck and full beam she offers enormous spaces including a separate office, a walk-in closet and a large bathroom with bath-tub and a spacious walk-in rain shower.A great feature of the master suite is the private fold down balcony for the master suite occupants. 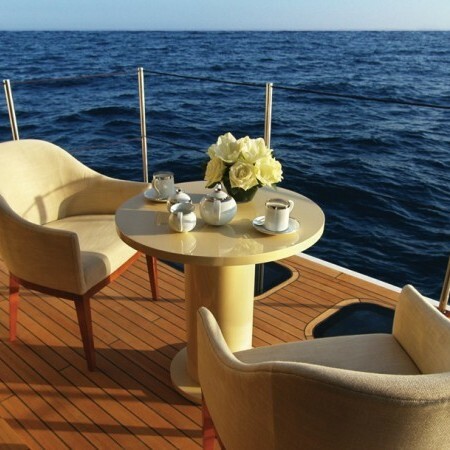 This areas features a nice card table and relaxed seating. 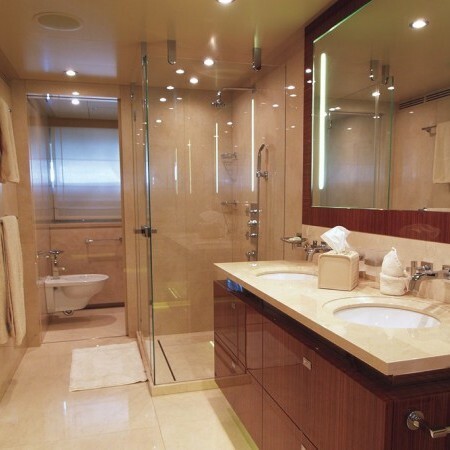 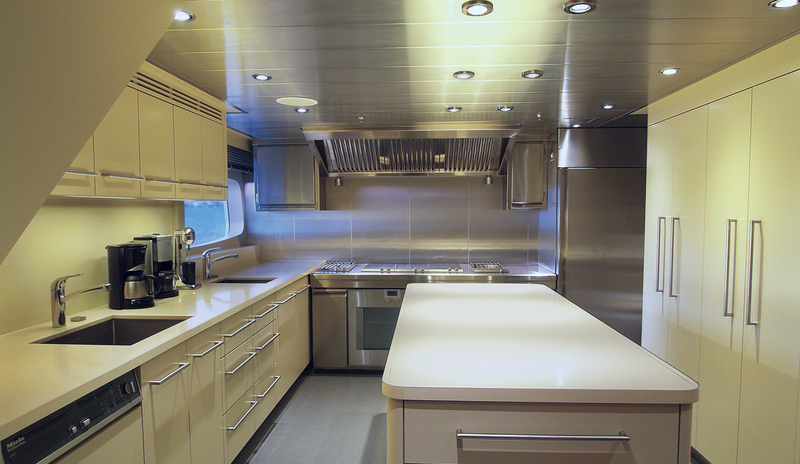 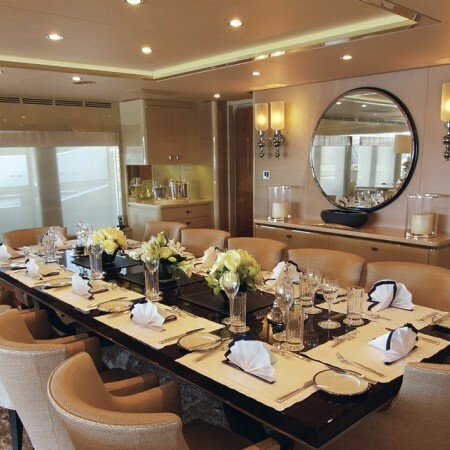 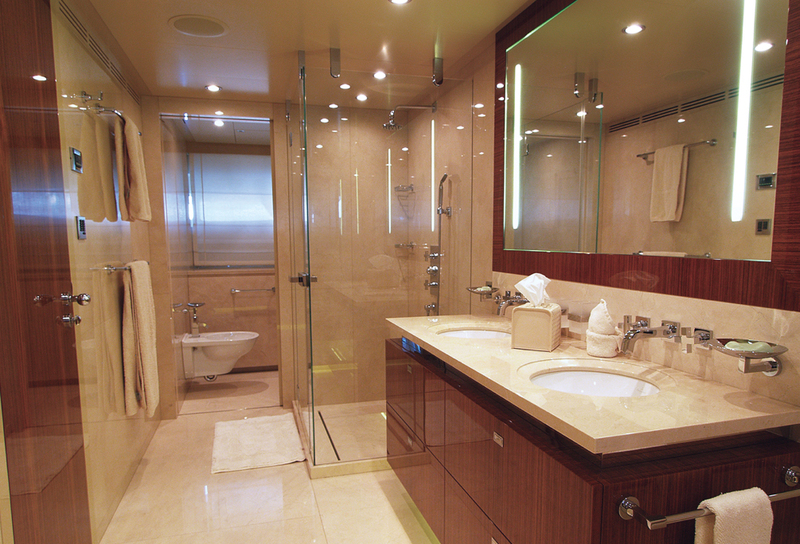 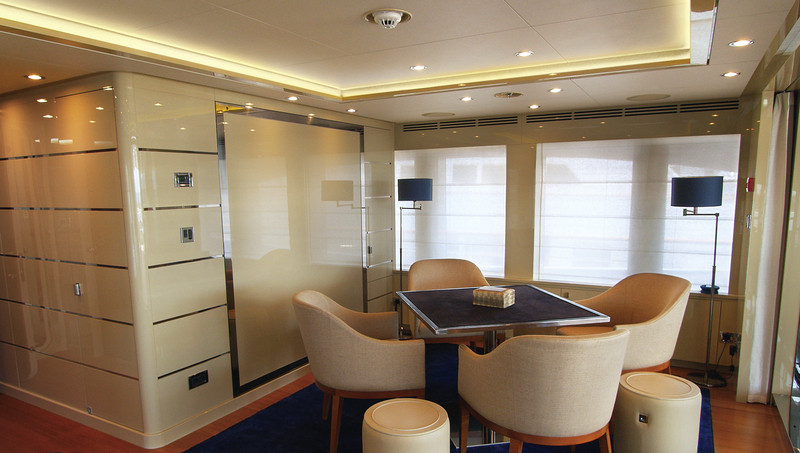 The sky lounge can easily convert to an additional sixth suite with an en-suite bathroom. 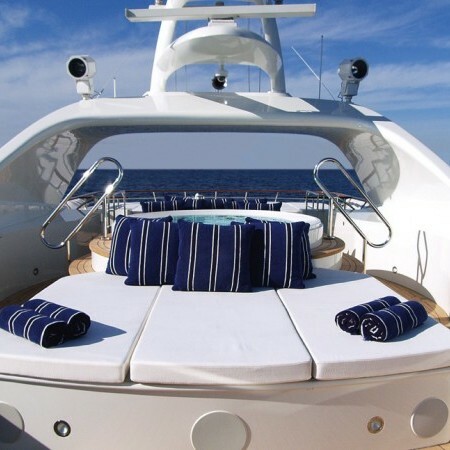 The fold-out queen sized bed is invisibly stowed when not in use. 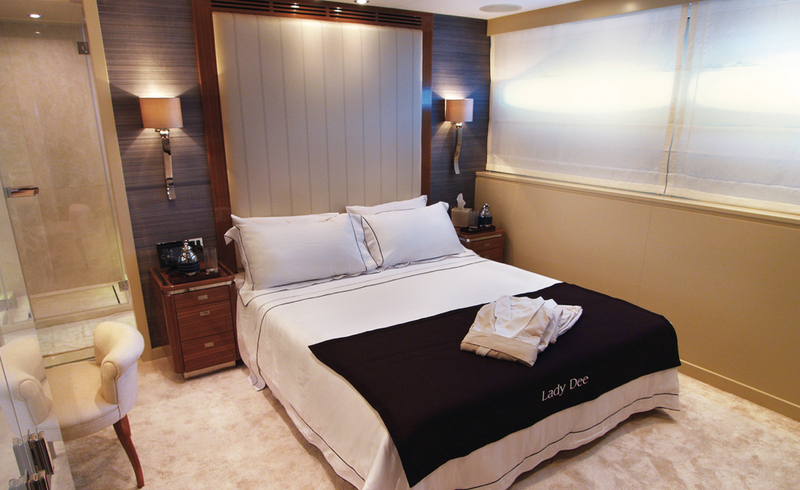 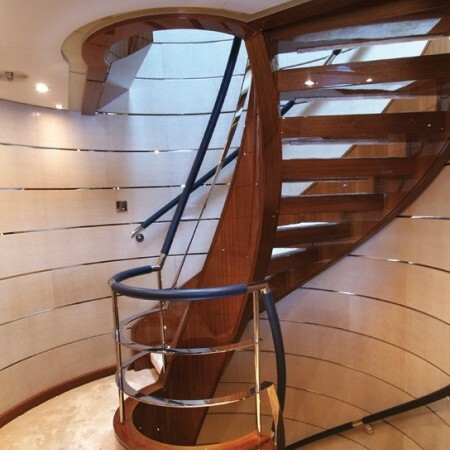 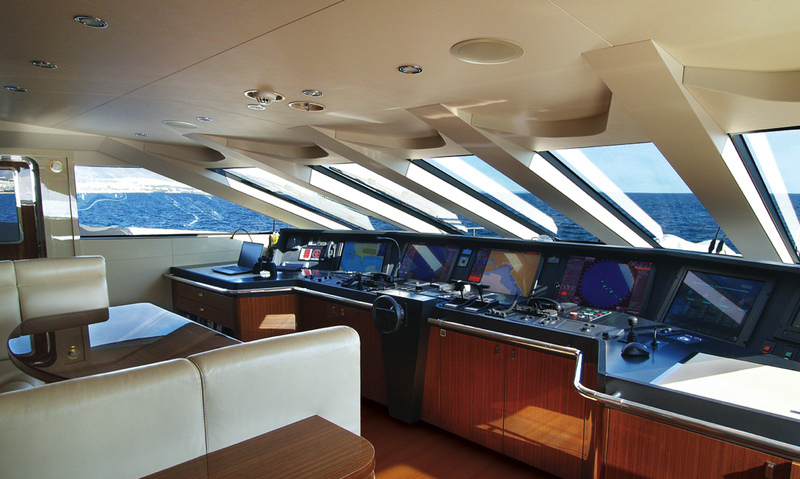 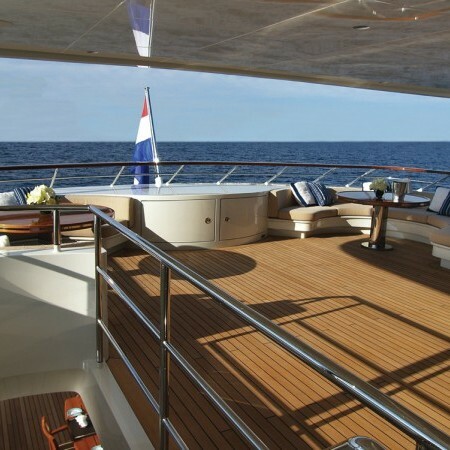 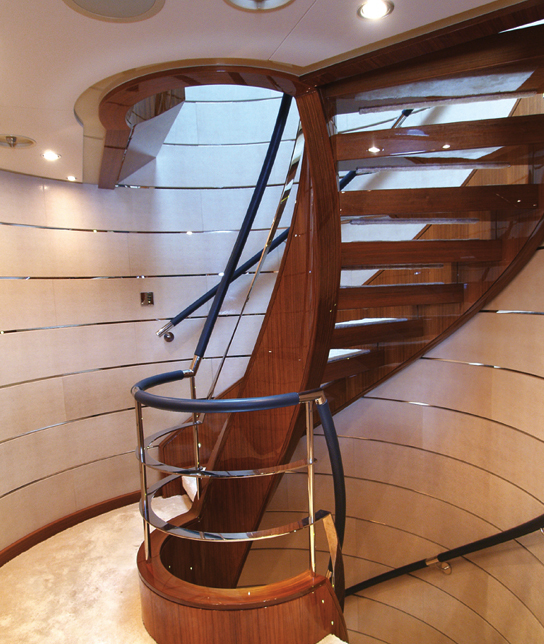 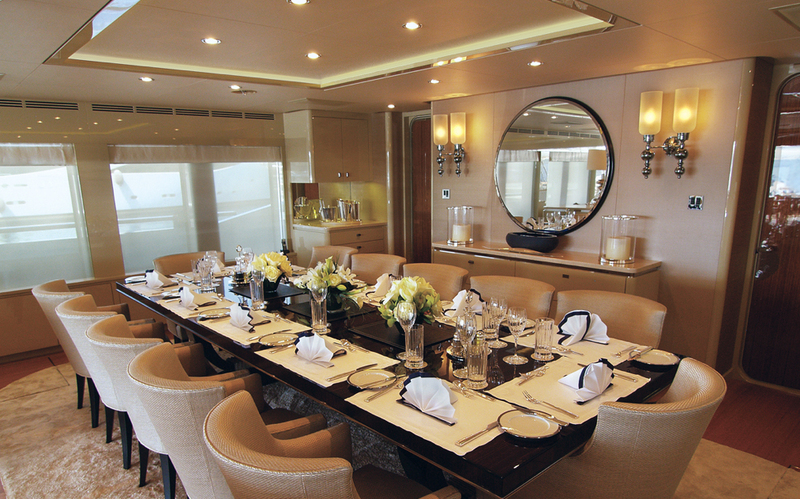 Lady Dee features very large deck spaces throughout. 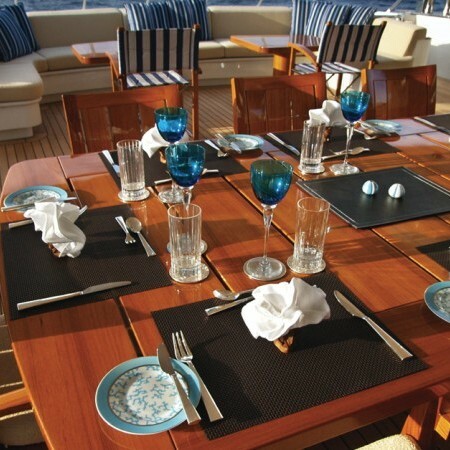 The aft deck on the main deck is great place to enjoy meals and just relax or a quiet place to read a book enjoy a drink or coffee. 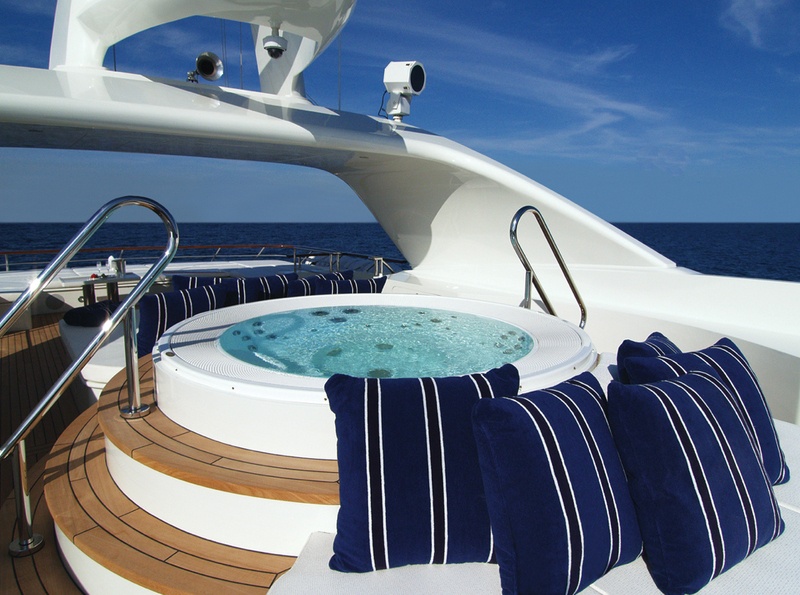 The sky lounge deck has ample deck space for parties with comfortable seating to relax and enjoy the view. 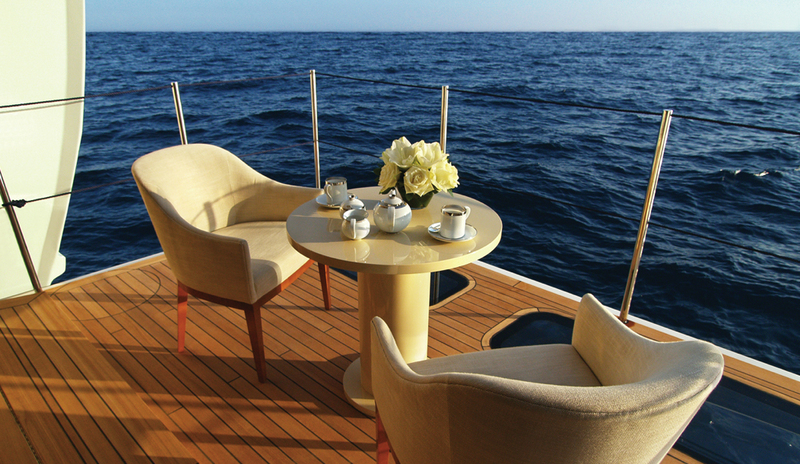 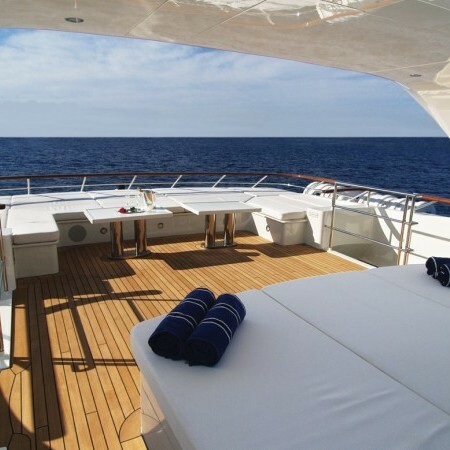 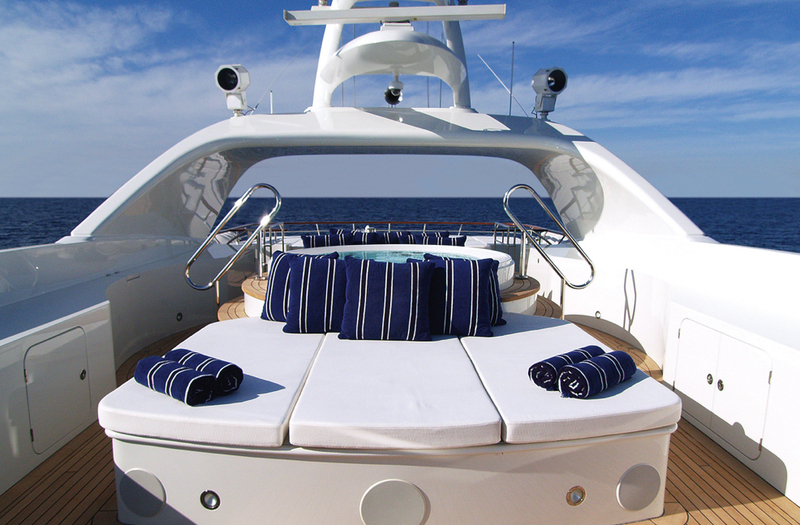 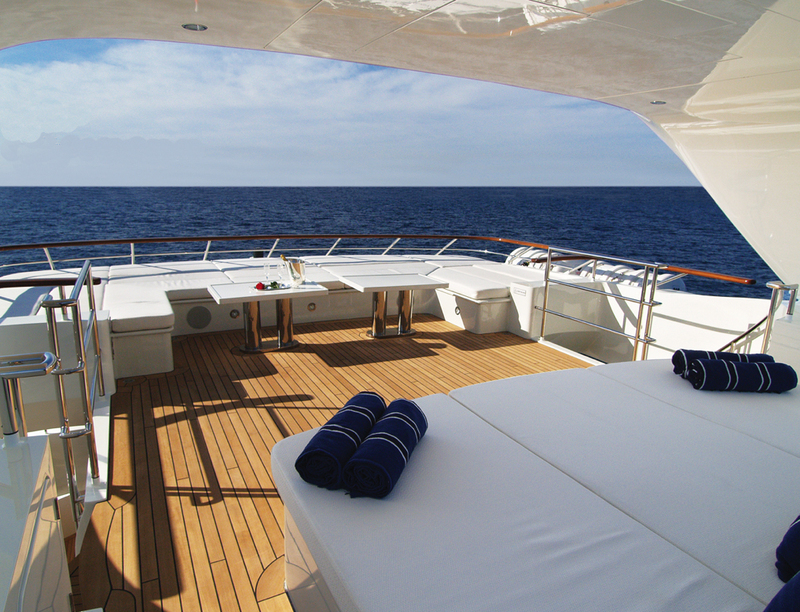 The sundeck is the ultimate spot to relax with the large sunpad amid which can be shaded with a retractable sunscreen. 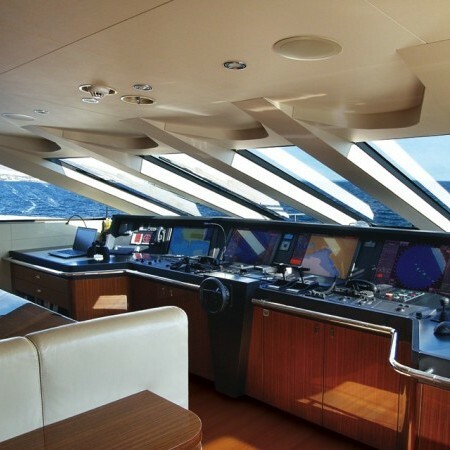 A great feature is the large TV screen which folds out from the arch and can be viewed from anywhere as she turns 360 degrees.